Scaled down versions of apps are nothing new; Google has made plenty of "Go" apps specifically for emerging markets where internet connections are unreliable, phones are generally less capable, and plans offer less data. Uber is now getting in on the act, too. 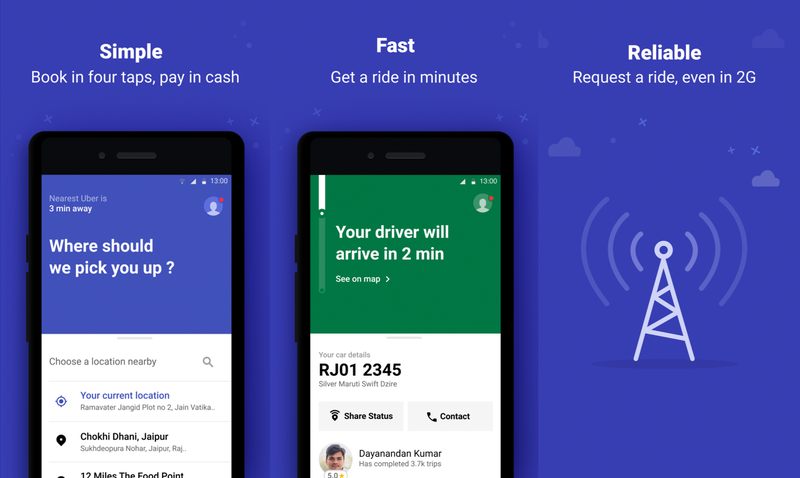 Uber Lite has been built with India in mind — where it's currently being piloted — but it will be coming to other regions around the world later on. It's been designed to save space, weighing in at only 5MB (or about three selfies as Uber helpfully points out), and run on any Android phone. Even when on a network with poor connectivity, a response time of just 300ms is touted, so you should be able to book a ride almost immediately.